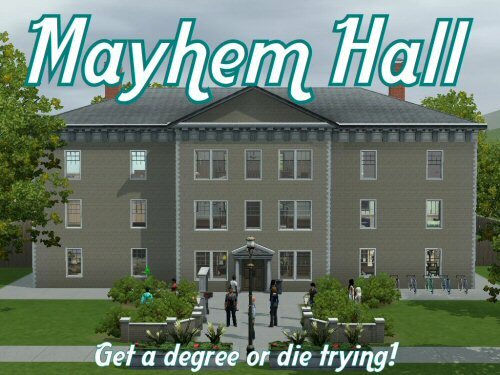 Minty wrote: What better way could there be to see what Sims 3 University Life has to offer than to take ten unwilling volunteers & put them in the same hall of residence, Malan Hall? Everyone's on 12 credits to start with. Eight beds, that's going to make it awkward for a start. The big question every night - whose turn will it be to sleep on the couches? Will everyone who gets the Murphy survive the deadly bed?